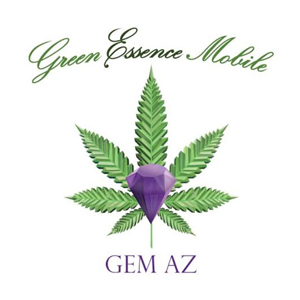 Green Essence Mobile (GEM AZ) is a medical marijuana delivery service operated by patients co-operating with patients. Their mission is to provide high quality medical cannabis to qualifying patients for affordable price. They are also deeply committed to spreading the word about how herbal health and healing is vital to human overall health as well as to the health of our planet. Green Essence Mobile will do their best to process your order in a timely manner and to deliver your medicine as fast as possible. What you can expect from them is a highly professional and respectful service, coupled with knowledgeable and friendly staff. Besides herbal medicine, they also offer gluten-free, vegan and organic options for their edibles for folks with health considerations, allergies and compassion toward animals. New patients receive a free pre-roll and you can choose from house blend or strain of the week. Green Essence Mobile currently offers delivery to Tempe, South Scottsdale, West Mesa, Chandler, Ahwatukee, and South-East Phoenix. i started using medical cannabis not so long ago, so was still not sure what the best strains were good for my condition…the goof news is green essence mobile helped me choose since their staff has vast knowledge on this subject and they deliver to your door. Thanks guys for the great services.